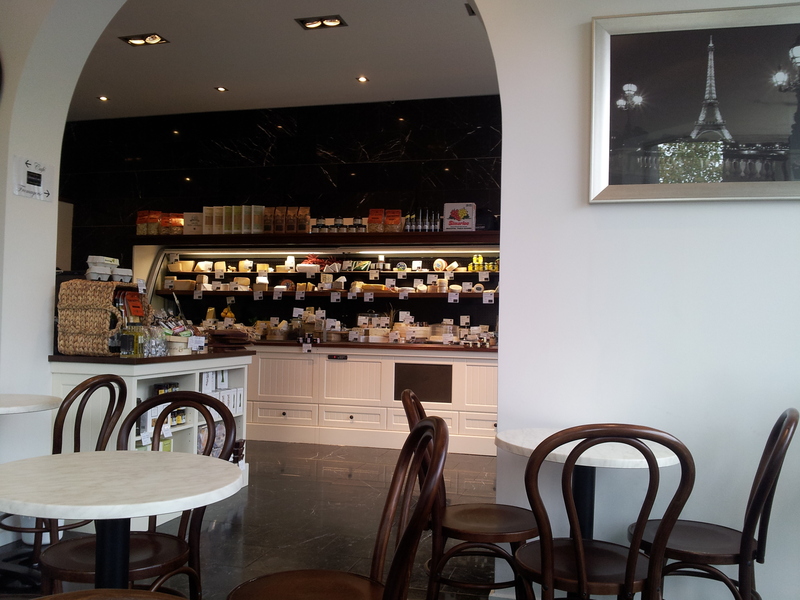 Indulge your love for cheese at the quiet Cheese Cave in Toorak Village. A recent addition to Melbourne, the Cheese Cave opened in March this year. When my partner and I went to the Cheese Cave, we ordered a cheese platter, wanting to sample some of the delicious cheeses on offer. Despite being the only patrons in the store, there was a wait to receive our platter. However, it was certainly worth those ten or fifteen minutes of anticipation. Beautifully presented portions of cheese, including a perfectly creamy brie and delicious goat cheese, were accompanied by a generously sized bread basket. A serve of caramelised red onion and miniature pickles added interest to the platter, although they had too much of a strong flavour for my bland palate to handle. The platter was not all savoury foods, with sweet notes added by a bunch of sultanas still on the vine and a serving of pear jam. Gourmet cheese platter from The Cheese Cave. The platter was ample for two to enjoy, despite its deceptively small appearance. My partner and I enjoyed the cheese so much that we fought over who would get the last portion of brie! 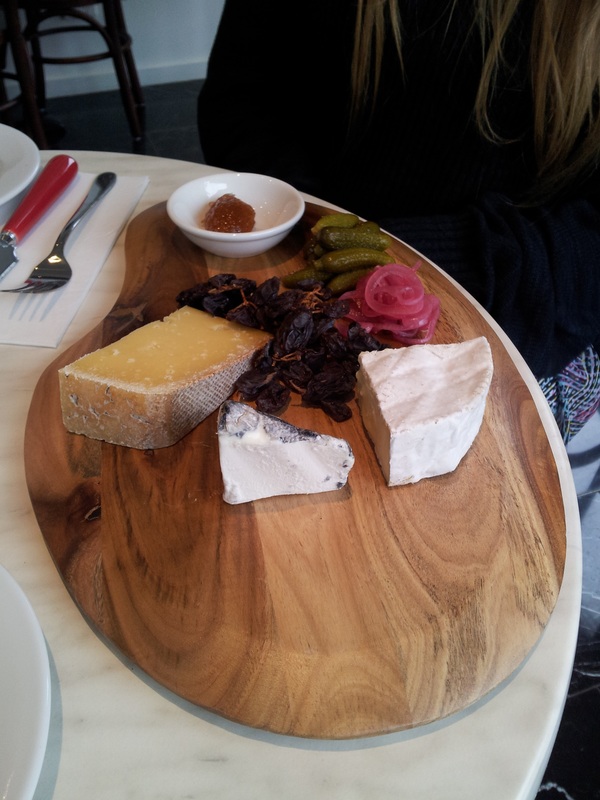 At $27 for the platter, sampling the best of what's on offer at the Cheese Cave doesn't come cheap. While their selection of breakfast omelettes are a little more budget-friendly, your wallet will certainly not be thanking you for your foray into gourmet cheeses. Delectible salads and sandwiches are available for all your lunching needs, along with a selection of sweet treats and premium Di Bella coffee. The Cheese Cave is so much more than a cafe- they're also a fromagerie, stocking every kind of gourmet cheese imaginable. A fridge is packed with beautifully presented cheeses, on display as if they are cakes. They also stock other other edibles such as Michel Cluizel chocolate from France and baguettes for that perfect French-themed picnic. The Cheese Cave cafe and fromagerie. Despite being filled with cheese of all types, the Cheese Cave does not smell like cheese. It is also hardly a cave, with plenty of natural light flooding through the ample windows, making it a comfortable destination to enjoy their gourmet delights. Why? For a taste of France in Toorak Village. When: 9am - 6pm Monday to Friday, 8am - 5pm Saturday, 9am - 4pm Sunday. Closed public holidays.